When it comes to giving back to the community and investing in people to see their lives changed for the better, one local businesswoman and philanthropist has stepped up to the plate in a phenomenal way, and she is seeking to take it to an entirely different level. This Woman’s Work, founded by Carla Lane, President and CEO of Lane Staffing, the largest minority woman-owned employment solution in the Southwest, is an advocate for women’s empowerment, and will be hosting its inaugural fundraiser reception, “Stilettos & Champagne” on Saturday, November 12th from 6p-9p at the Houston Museum of African American Culture. “Stilettos & Champagne” will support This Woman’s Work, a 501(c) (3) non-profit organization that Lane launched, whose mission is help women improve their economic independence and emotional well-being through an innovative series of programs designed to provide support to women as they work to improve their lifestyle and financial position. The non-profit was inspired by the needs that Lane saw in her employment business, where women were applying for jobs they weren’t ready for, they didn’t have the proper clothing or just needed other support to create a better lifestyle for themselves and their family. 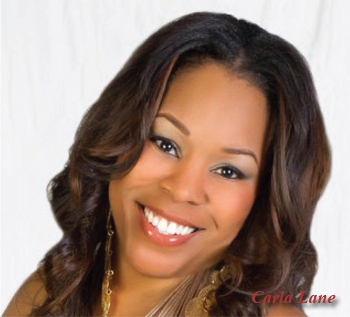 Inspired by this need, Lane started the organization This Woman’s Work, along with Carla’s Closet to help inspire women to continue to improve themselves and the lives of their families with support on their journey from the community. The organization has a unique focus and is committed to: Gender Equality, Empowerment, Education, Employment, and Diversity & Fellowship. The organization needs community support for its primary programs. The Stepping Into Strength (SIS) Mentoring Program builds and develops young girls in the community to become resilient, fearless, educated and empowered. These skills will help them become women who make self-sustaining decisions to enhance their lives. 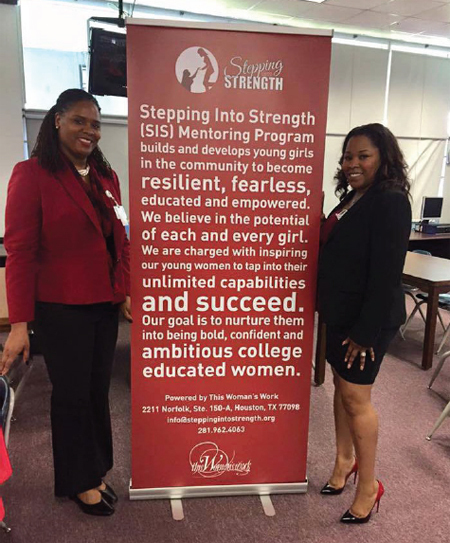 Stepping Into Strength primarily supports high-school girls who are mentored by IronWomen. 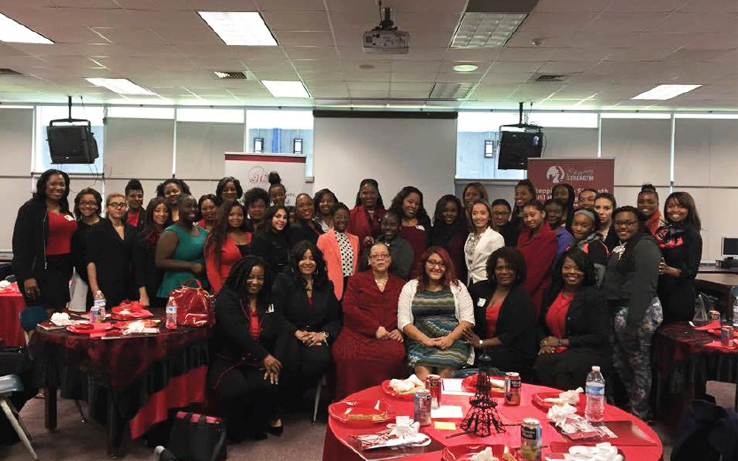 And as “Iron Sharpens Iron”, these women support each other through the IronWomen Mentor Program, focused on women’s empowerment and professional support. This volunteer movement aims to inspire women to reach out to other women and, through the simple act of offering guidance and insight, help them achieve their personal and professional aspirations. Mentoring another person is one of the greatest gifts one could give to another. The goal of the program is to eliminate negative competitiveness and encourage positive assistance; woman to woman and one woman at a time. Carla’s Closet provides clothing for recently employed women or women with interviews so that they can be appropriately dressed for work to support their families. After successfully completing the curriculum and the suiting process from Dress for Success, Carla’s Closet will provide support for the extras, such as accessories, jewelry, shoes, handbags, and from time to time stockings, slips/camisoles, hosiery and tights. This Woman’s Work relies on financial contributions, in-kind donations, and volunteers to do this important work. In order to bring awareness and raise funds, the organization will host a variety of events. “Stilettos & Champagne” is the first of many events and is the signature fundraiser for This Woman’s Work. The “Stilettos & Champagne” event will be a sparkling night, full of inspiration and empowerment, and will be a fabulous shoe-essential event giving fashionistas and shoe lovers a reason to get dressed up and support a very serious and important cause; women’s empowerment, job readiness and mentoring. The reception will feature live music, dancing and the “I Can Awards” presentation, recognizing a few outstanding women who are helping other women in the Houston community. The event will also feature wine and champagne all evening as guests marvel at the fascinating artwork displayed by local artists and businesses. An award that recognizes the considerable efforts and accomplishments of those who are in service to women. The award is designed to allow the community to identify those who embody both the letter and spirit of mentoring. These awards are important examples of the organization’s continuing efforts to cultivate a culture of mentoring. An award that recognizes a couple for the significant impact they have on their community and on women in particular. They seek to improve the quality of life for present and future generations. 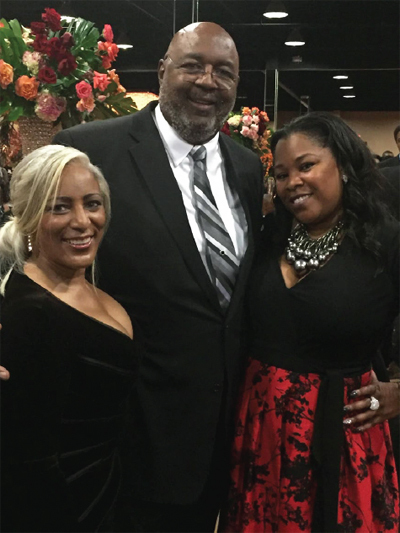 This award is given in the name of Carla Lane’s parents who worked tirelessly to improve the lives of those in their community through education, mentorship and philanthropy. The remarkable women who receive this award have overcome tremendous challenges. Each and every one is an inspiration. Their extraordinary stories illustrate the transformative effect of education and mentorship. With incredible courage and strength, these amazing women transcend unimaginable obstacles, and are creating better lives for themselves, their families and their communities. The efforts of individuals and companies who are committed to helping women take charge of their lives are essential to the organization’s overall success. Sponsors for the inaugural “Stilettos & Champagne” event to date are: Cooking with A Twist, The Gite Gallery, Lane Staffing, Lauren Luna, Pretty Brown Girls, Soaps Washes & Grooming Essentials, Praise Transportation Services and T Ellis Essence of Fine Art. For sponsorship, event information or to purchase tickets visit www.thiswomanswork.biz/events.